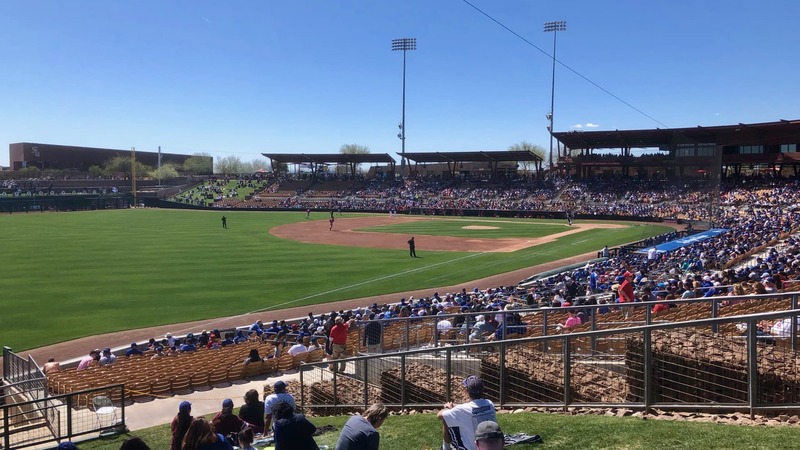 The lads make a roadtrip to take in the March 13, 2019 Dodgers-Reds spring training game at Camelback Ranch in Glendale, AZ. 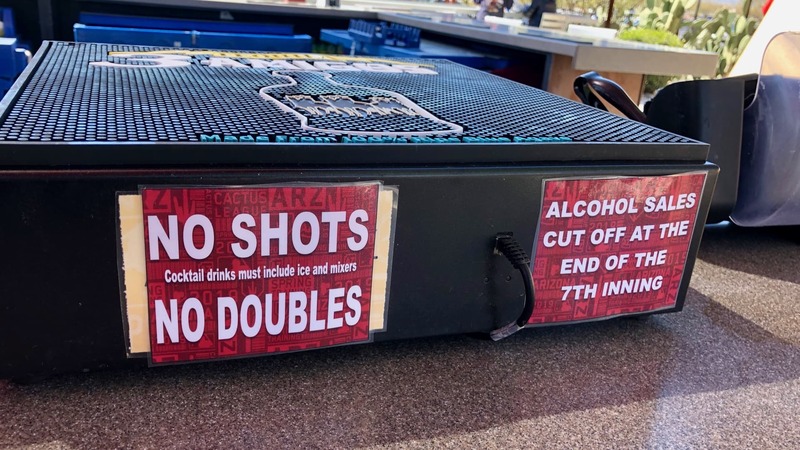 After a few hours hanging out and soaking up the vibes, they record the episode behind the Four Peaks bar at the ballpark. Apart from two weirdos recording a podcast, nothing special happened at that ballpark that day. 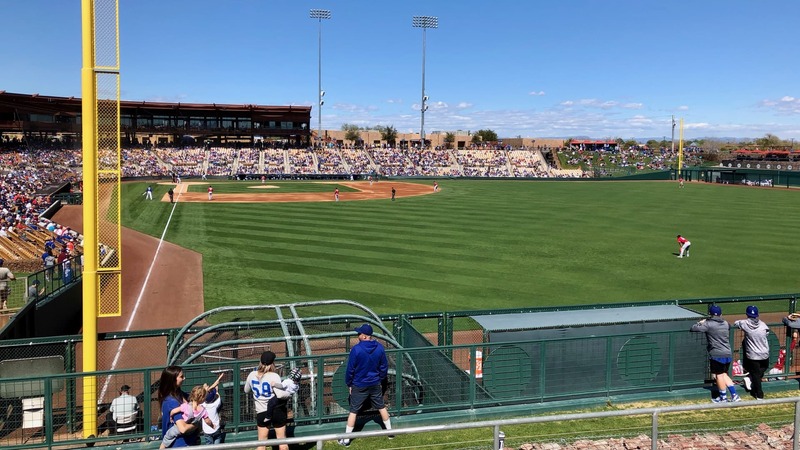 Game happening at Camelback Ranch in Glendale, AZ. 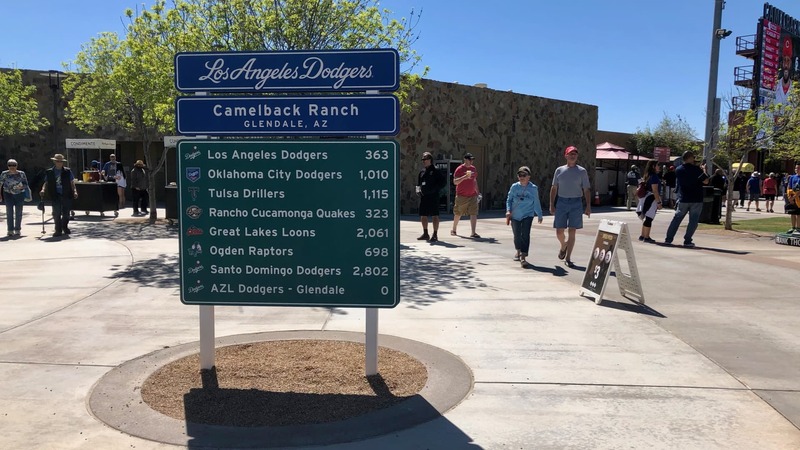 Distances to the many affiliate teams of the Dodgers. Safety first! Plenty of time to sober up for the drive home after the 7th inning. Apparently. 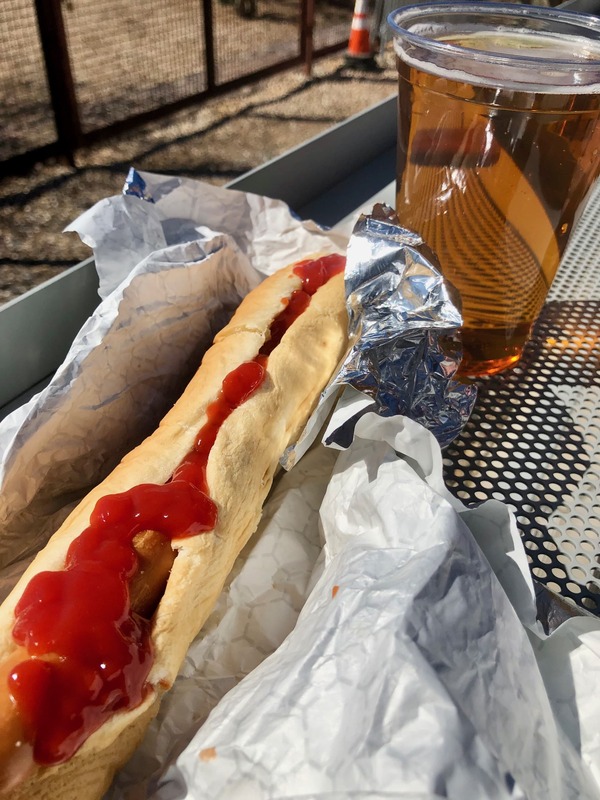 A Dodger Dog in all its glory.